This will be your final trump card in high-pressure conditions. The super natural action will prompt an instinctive bite. 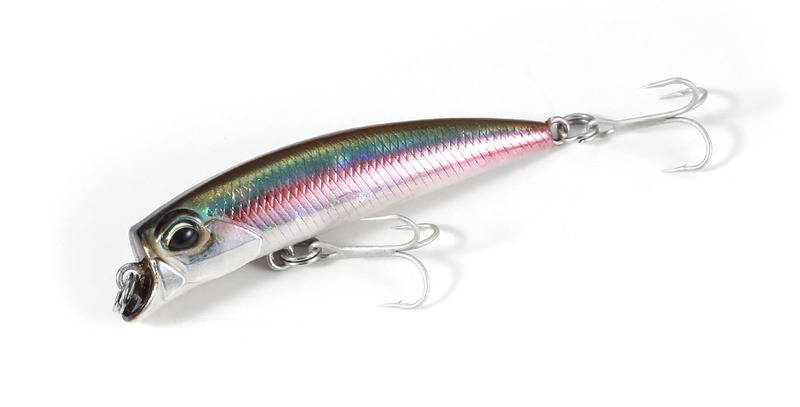 Anglers can control the lure to induce a bite with different action patterns. It will perform an ever so subtle natural rolling action with a slow retrieve while adding a snake-like tail swaying action to the roll by increasing the retrieval speed. By employing a magnet assisted moving weight system, we have realized great casting distance. The form of the lip grips the water allowing for easier use for even beginner anglers. This will be your secret weapon for areas with many other anglers around you.